Welcome to the 2019 Summer Camp Guide! Our Summer Camp Guide is designed to make your search easy. Please, click the drop boxes to find the camp you are looking for. The Summer Camp Guide is for informational purposes only. We will keep the guide updated regularly to ensure our information is up to date and relevant. Prices and offerings are subject to change. See something that is missing or that needs to be corrected? 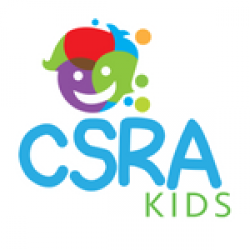 Please email us at info@csrakids.com. Make Camp Lakeside your child’s home away from home this summer! Tucked away on the shores of Lake Thurmond, Camp Lakeside offers a refreshing escape from everyday life. Located in Lincolnton, Ga, we provide a variety of enriching outdoor recreation programs just a short drive away from the heart of Augusta, Aiken and surrounding communities. Camp Lakeside includes activities like swimming, hiking, fishing, archery, basketball, canoeing, kayaking, arts and crafts, disc golf and more! The Family YMCA of Greater Augusta offers day camp programs across the CSRA at nine different locations, as well as Camp Lakeside in Lincolnton, GA. One week sessions are May through August. Our summer camps offer unforgettable experiences for your child. Boys & Girls Clubs of the CSRA’s Summer Camp program offers kids an exciting and fun-filled place to learn and grow. Our six-week camp features weekly learning themes, various areas of activity including computer learning, academic enrichment, games, fitness, arts and crafts, outdoor activities, and field trips. City of Aiken Summer Camps is the way to spend your summer! Available for children ages 4 – 12. Weekly themed sessions include sports, swimming, crafts, field trips, and more! Riverfront Theatre Company is proud to announce our first ever Music Theater Summer Workshop, Big Blue World!! Students will get to experience Acting, Singing, Dancing, Set Building and Design, and Costume Building and Design! Our summer programs are open to all families in the greater Augusta area! We offer over 30 programs for ages 3-18 that include academic and technology courses, enrichment classes, fine arts, and sports camps, a general day camp and driver education. Engineering and design thinking day camp for rising 8th and 9th graders. Day Camps with a math and reading focus. 4321 Evans To Lock Rd. Kickboxing – Ninja Obstacle Course – Crafts – Field Trips – More! 4300 Evans To Locks Rd. Gymnastics – Games – Water Sports – More! 643 S. Old Belair Rd. Gymnastics, Crafts, Water Days and More! Gymnastics, craft, games, and more. 790 E. Pine Log Rd. Karate Lessons – Parks – Swimming – More! Lots of fun facts, games, barn chores, horse riding, and crafts. Horse Care, Riding, Crafts and More. Horseback Riding, Crafts, Water Sports and More. 3 months through 2nd-grade graduates (rising 3rd graders). Field Trips, Cooking Classes, Crafts and More. Drama – Robotics – Coding – Sports and More! Weekly Themes – Field Trips – Swimming – Sports and More! Academic and technology courses, enrichment classes, fine arts and sports camps, a general day camp, and drivers education. Full and Half Day Camps – Music – Art – Games and More! Talent Shows, and Park Tours. Campers enjoy lunch, swimming, arts & crafts, group games, sports, bible lessons, in-house field trips, and other fun activities. 1858 Lock & Dam Rd. Guided nature hikes, hands-on science-based activities, and nature-themed arts and crafts. 7 Week Day Camp. Campers rotate through technology, art, sports, and a special theme based activity. Day Camp – Sports – Arts and More!